Welcome everyone! 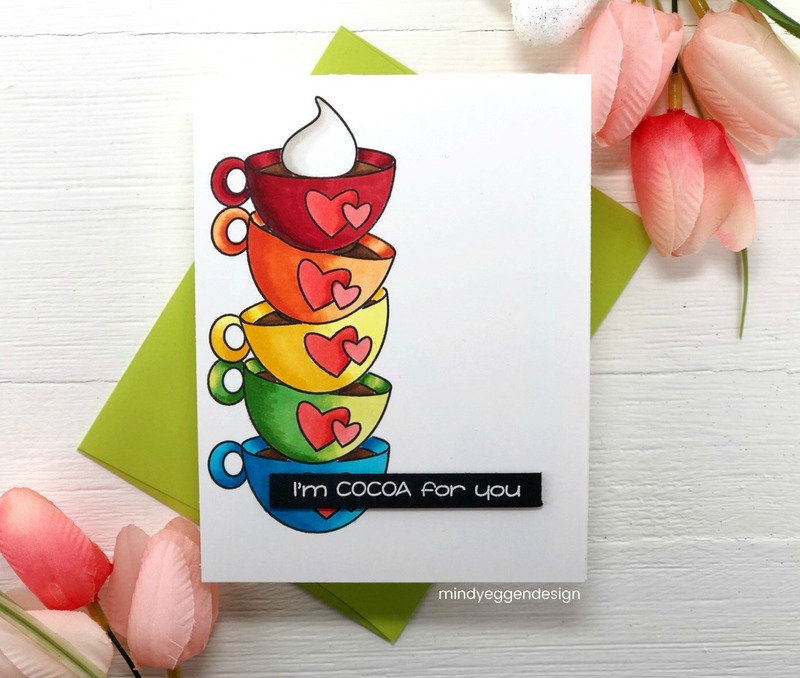 I’m back guest designing with Your Next Stamp and I’m featuring this fun Cocoa For You stamp set. This is such a cute set and a great price point! I’m in love with the font on these sentiments too! I’m kind of liking leaving white space on my cards lately. I decided to stack my cups and incorporate a rainbow all in one. In order to stack my cups, I need to do a little masking. 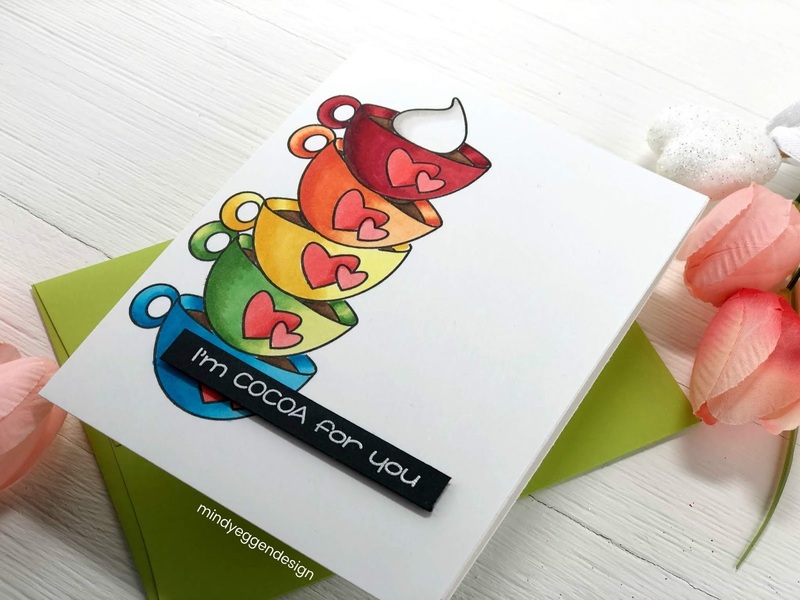 Using a piece of Neenah White Card Stock 80lb., I stamped my top cup in copic friendly ink. I also stamped this image onto a piece of Masking paper and fussy cut a mask. Next, I applied my mask to my first cocoa cup. Then I line up my stamp where I want it to go next and stamp it. I will continue this same process all the way down the card until I fill up the side panel with cups! Once all my stamping and masking is done, I color my cups with copic markers. This was almost a one layer card. Instead, I decided to stamp my sentiment onto Black Card Stock and heat emboss with white embossing powder. I trimmed the sentiment down to a thin strip using the Sentiment Labels die from Simon Says Stamp and attach to my card panel with foam squares. This really was a relaxing card to create. Even though I’m not a fan of masking, these cups were super simple to trim out. Thank you Your Next Stamp for inviting me! 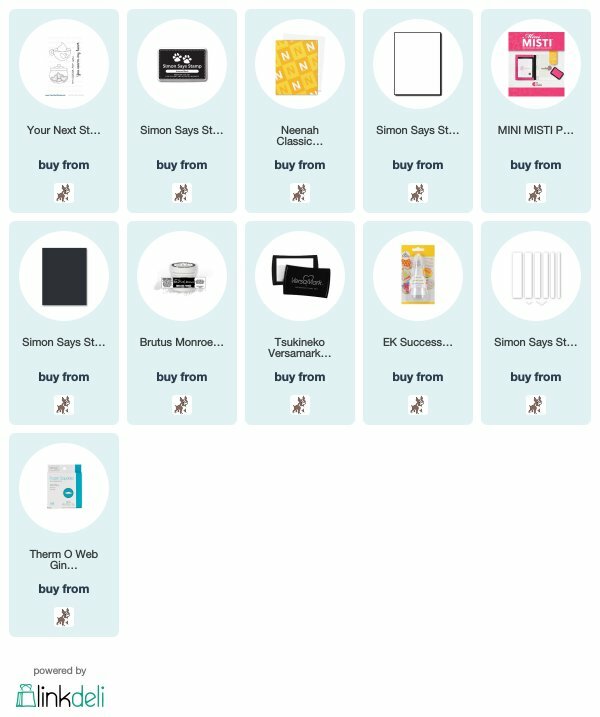 If you haven’t checked them out be sure to head over to their website by clicking the link below. They have just the cutest critters and so much more! A stunning CAS card. I love the shadeing in the cups. 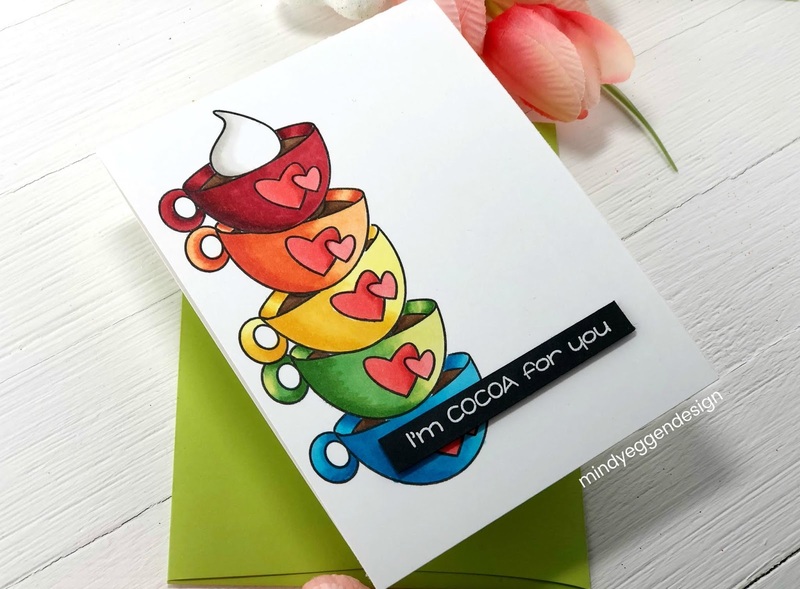 I love that stacked cup design and your coloring is fabulous!